Our backyard garden beds have been producing some enormous zucchinis this year. Like, big enough to rock in your arms and pretend it’s a baby / enter into a county fair type of zucchinis. 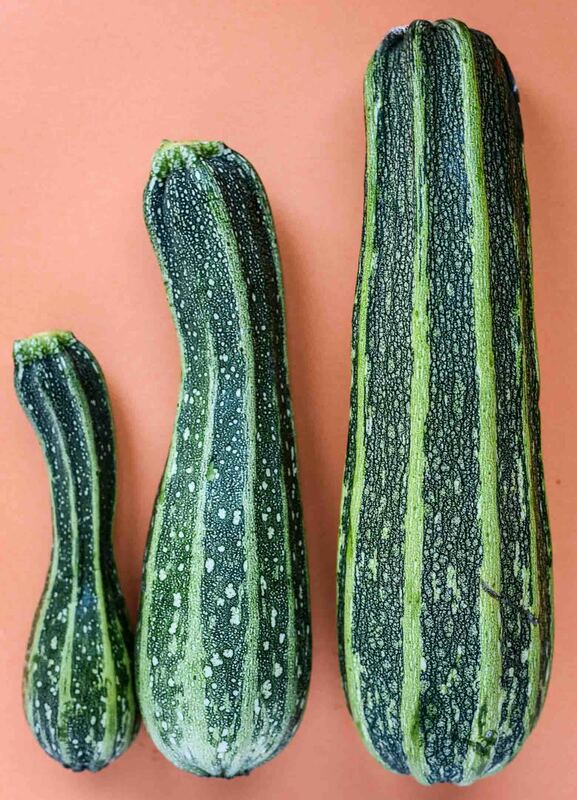 It’s been a fun challenge to think of ways to incorporate zucchini in meals — we’ve had curries, salads, noodles, and fries where zucchini is the star. 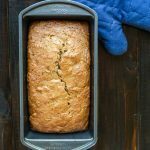 After 2+ months of nearly constant experimenting, my favorite way to use zucchini is this vegan zucchini bread recipe. It’s flavorful and foolproof, a culinary win-win! 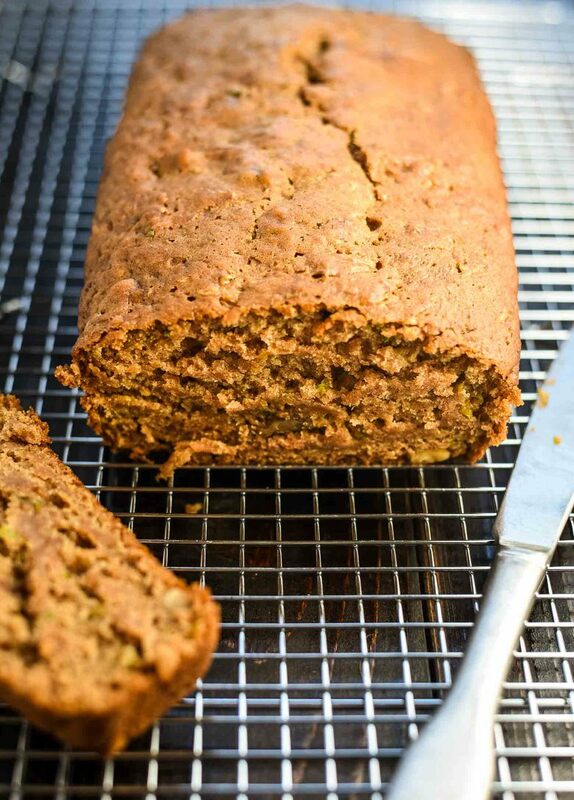 Vegan baking can sometimes be tricky but this zucchini bread is a breeze. The inherent moisture in the zucchini ensures that your loaf will stay moist and flavorful through the cooking process. It’s subtly spiced with cinnamon and nutmeg, which gives it a gentle warmth that pairs well with the dense, delicious bread. It’s also one of the simpler quick breads to make, requiring no more than 10 minutes to pull together before popping in the oven. As long as you follow the recipe and don’t forget it in the oven, you can sign yourself up for an easy pat on the back. 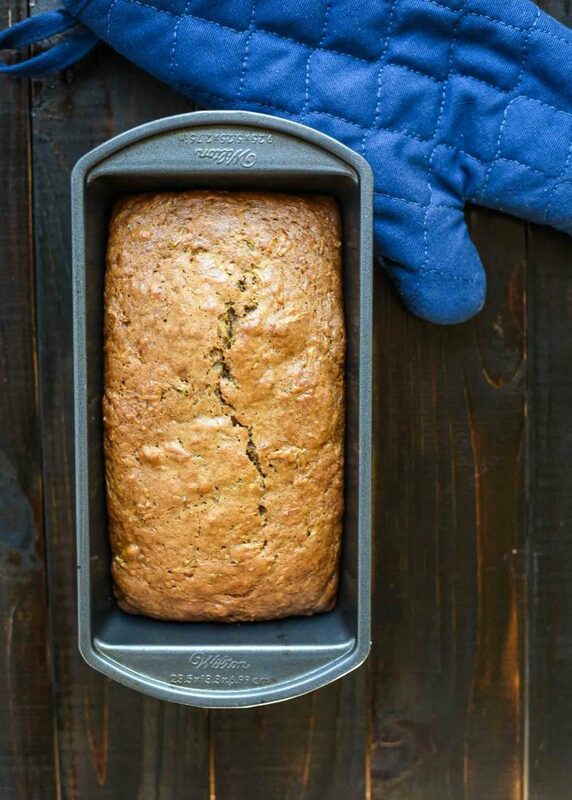 If you make a loaf of vegan zucchini bread, leave a comment, rate the recipe, and and tag a photo with #plantandvine on Instagram. Riesling: aromatic, sweet white wine that brings pineapple, apricot, and lime flavors. This is a high acid wine that will contrast the denseness of the zucchini bread nicely. Gewürztraminer: aromatic, sweet white wine with lychee, lychee, grapefruit flavors. Gewürztraminer is a low acid wine pairing, so the heaviness of the wine will complement the denseness of the bread. Soave: dry, light-bodied white wine with peach, honeydew, and citrus zest flavors. With older vintages, you will get honey, baked apple, and candied fennel flavors which pair well with the zucchini bread’s earthy, natural flavors. Vegan zucchini bread recipe spiced with cinnamon and nutmeg and filled with zucchini and walnut deliciousness. Great way to put extra zucchinis to use. Preheat oven to 325 F. Lightly grease (with cooking oil or vegan butter) and flour two 9×5 inch loaf pans. Whisk together flour, salt, baking soda, cinnamon, nutmeg, and baking powder in a bowl until evenly blended. In a separate large bowl, whisk together the applesauce, white sugar, brown sugar, oil, and vanilla extract in a bowl until smooth. Fold in the flour mixture and shredded zucchini to this bowl until evenly mixed. Divide the batter between the prepared loaf pans. Bake about 70 minutes until a toothpick inserted into the center comes out clean. Cool in the pans for 10 minutes, then remove and set on wire rack for cooling. To store, wait until completely cool and cover with foil or plastic wrap. 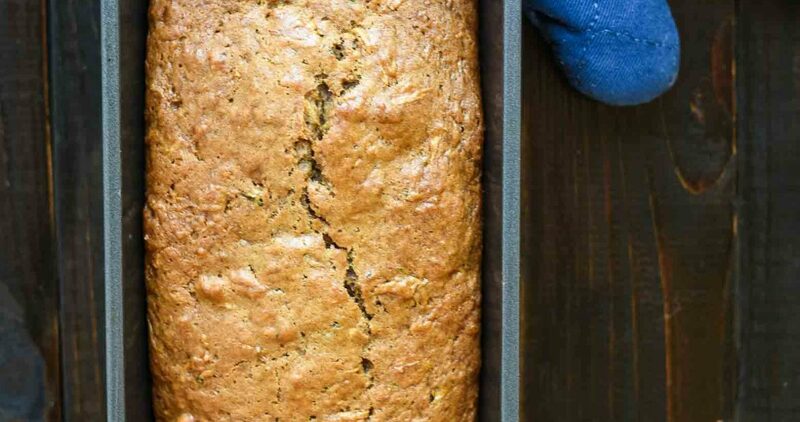 Zucchini bread will store for 1-2 days at room temperature or up to 5 days covered in the refrigerator. *Recipe is a guide. Adapt ingredients and measurements as desired. Adapted from AllRecipe’s Zucchini Bread.